During the (horrendously gawdawful) Grammy Awards on Sunday night, Yoko Ono was introduced as a “Grammy winner,” which prompted more than few people to rant on social media about how she only won those Grammys because of one John Lennon, and that she was the witch who broke up the Beatles. Now, those of you who know me are aware that I am a rather passionate Beatles fan. I know lots of people who know a lot about music who say I know more about the Beatles than anybody they know. I am flattered by this statement, but at the same time I don't feel like I am worthy of such praise, because I learn most of my Beatles information from people who know much more about the band than I do. I would like to meet these people (like Mark Lewisohn, the official Beatles historian and author of the new thousand-page book about the band... that covers up until 1962) and pick their brain someday. That said, when I run into Beatles fans (who are also passionate about the band) who hate on Yoko for causing the lads to break up, I am taken aback. Certainly Yoko was a factor. I could mention several reasons how Yoko helped speed up the end of the band. Okay, here's one: Beatles recording sessions were a boys-only club until John brought Yoko in for the White Album sessions in 1968, and it was resented. The insistence by John that he and Yoko should go everywhere together most assuredly put undue strain on the sessions. Somebody in this picture was most responsible for the Beatles breakup. Hint: it's not who you think it is. But the truth is that by the time Yoko became a continual presence in John's life, the band was already irretrivably on the road to ending. By 1968, Ringo felt like he was no longer an integral part of the band. When multi-track recording became the norm for the band, Paul would often erase Ringo's drum tracks, re-record them himself and not be coy about it at all. Ringo was actually the first Beatle to quit the band. During the White Album sessions, Ringo left and took the family off to Greece (it's where he was inspired to write “Octopus's Garden”). You know who's not mentioned at all in Ringo's decision to leave at that time? You already know who. Yoko. When Ringo tells the story she's not a factor. Paul being a jerk is the cause, not anything Yoko did. Yoko was not the defining factor in the breakup. She was a factor, but so was Linda McCartney (who, let's be honest here, gets a free pass), and if you're going to blame anybody for putting undue strain on the band and being the biggest contributing factor to the end, it's Sir Paul McCartney (who needs to admit he's gone grey. He's going to turn 72, for pete's sake. If you compare a picture of Paul in 1993 to a picture of Paul in 2014, you'd say the 1993 guy looked older- and better). 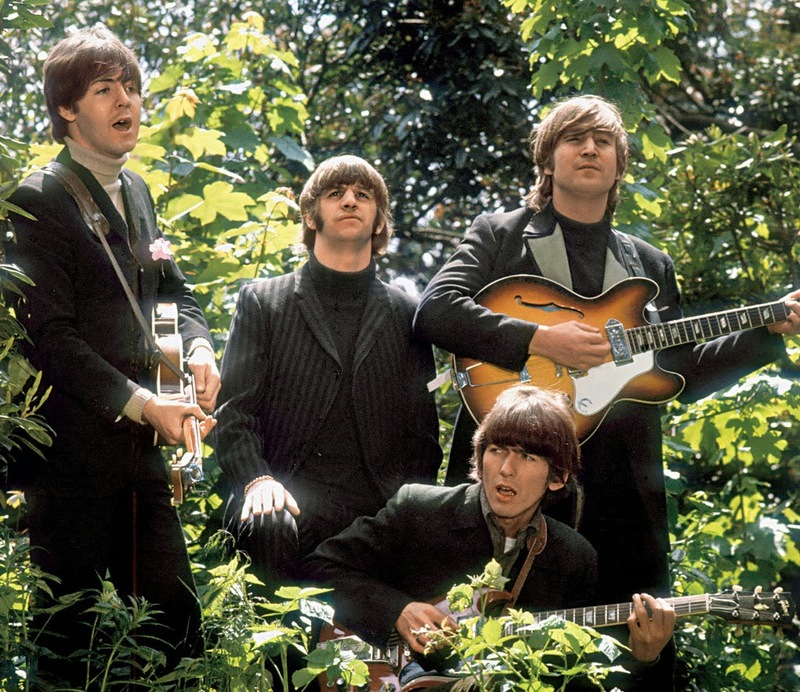 George quit during the Let it Be Sessions- again, because of Paul being a jerk- but came back to finish things up (after he wrote a not-disguised critique of Paul, "Wah-Wah"). Paul was the one who actually officially left the band when he secretly recorded his first solo album, McCartney, and released it a month before the Let it Be album. There's a good story about when George quit during those Let it Be sessions. The other three had a meeting to try and decide what to do. Do they give George some time to cool off and see if he'll come back? Do they call it quits right there and that's the end of it? What do they do? John, and I swear to you this is true, asked if they should call Eric and see if he'd take George's place. Who's this “Eric”? Well, as it turns out, Eric was between gigs himself- because Cream had just broken up. Yes, John Lennon suggested that the Beatles continue with Eric Clapton as their lead guitarist. Does this sound like a man who'd been brainwashed by Yoko Ono into breaking up the band he'd formed when he was 15? You should be able to figure out that John never wanted the band to really call it quits. That fact gets glossed over all the time. John was, in many ways, incredibly insecure and reluctant to change. Which is why Yoko is unduly ridiculed for what she did with John. What we know John for now- as a peace advocate, a champion of human rights, a pioneer in how popular musicians will occasionally use their celebrity for change- (Good example: Bono. Bad example: Justin Bieber.) would never have happened had Yoko not shown up. In 1966, the year John met Yoko, the most notorious thing he'd done outside the band was say that “The Beatles are bigger than Jesus.” And I want to be clear here (because like the Yoko situation, there are many who still hate John for this quote), I've read the original quote within context. In the interview, John is explaining that he's a spiritual man, and that he's troubled that religion is being pushed aside. He's saying that nothing should be more important that spirituality and faith, and that the Beatles being bigger than Jesus is a problem- it's something that troubles him- he's not boasting at all. 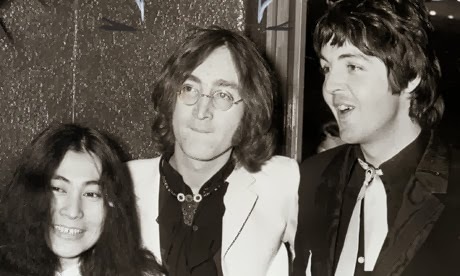 When he met Yoko, John was married to a woman he didn't want to be married to anymore (they only got married because Cynthia was pregnant with Julian), and when he wasn't part of the band he formed, he was either depressed at his house, or he was avoiding being depressed at his house- countless affairs, tripping on acid with Peter Fonda in LA (the basis for the song “She Said, She Said”). When the band stopped touring in 1966, before he met Yoko, John's depression got worse. Yoko woke John up. The next three years were incredibly important in John's life- he re-invented himself as an advocate. Yoko showed him that he could use his powers for good, that he could make a difference in this world. Thus, the John Lennon we know was born. 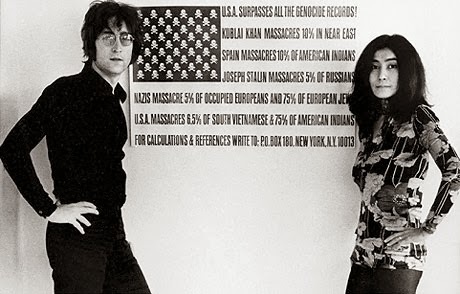 Now, did Yoko do this just so John could help the world? Obviously not. She recognized that she would be taken much more seriously if she hitched her wagon to this gravy train. So yes, she manipulated him and to some extent controlled and limited John in what he did for the rest of his life. She played upon his insecurities and reluctance to change. If you want a real good account of how much Yoko did this, read “The Last Days of John Lennon,” which was written by Frederic Seaman, John's personal assistant for the last two years of his life. I don't hate Yoko Ono. Instead, I pity her. Clearly, her insecurities and fears that John would leave her for good led her to manipulate him for their entire time together. When John and Yoko separated for two years in the mid-70's, I think John put out his best solo album, Walls and Bridges. 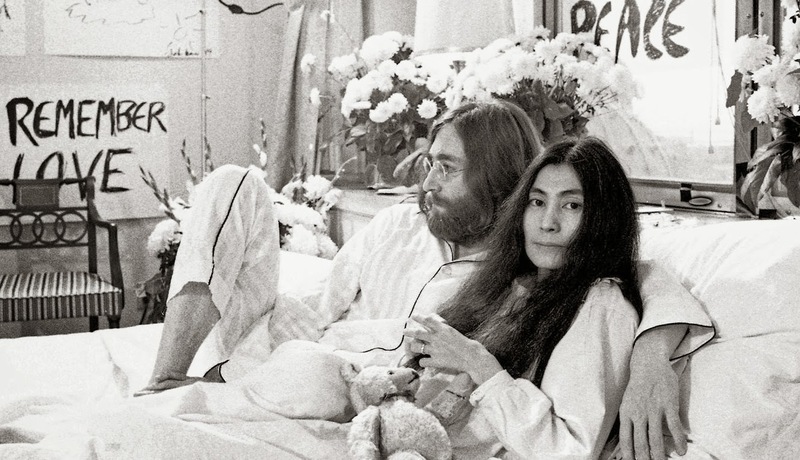 I also think that by the end of his life, John realized that he could be a successful musician and husband at the same time, and had come to grips with his insecurities just enough to be a success at both of them, no matter what Yoko did. And I'm certain he would have had enough sense not to perform at the Grammys.